Bio: Eric Rebelo is an entrepreneur, digital marketer, and consultant with a video show and audio podcast that helps entrepreneurs and personal development-focused people learn practical business and mindset strategies to increase their income, promote their business to their target market, get the lifestyle they want, and achieve internal fulfillment. Eric is also the Consultant Chief Marketing Officer (CMO) that helps businesses with their online digital marketing. Tell us about your digital marketing agency. How did you come up with the idea? Eric Rebelo: I’ve always been really passionate about creating content, online promotion, and digital marketing (before I knew it was called digital marketing!). When I was young I’d always love to make videos, take photos, edit images, and think of new ideas. It was my creative outlet. For years I created content that improved in quality over time and found myself learning new strategies of online marketing, graphic design, and other valuable skills that I had no idea I could use to help business owners until much later in life. My life went the same route as many others where the story that we’re told is go to college, graduate with good grades, find a good job, work for a salary, then retire at 65 and enjoy the golden years. I believed this because I didn’t know it was possible to do anything else. I never thought I could have my own business because everyone would say ‘that’s for people who were born into families with lots of money’ or ‘it’s too risky to work for yourself’. There are elements of truth to those things but ultimately I knew I was meant for something else but I just didn’t have the tools or knowledge at the time. As time went on I grew disappointed in college and just felt as if I was learning things that weren’t relevant or weren’t interesting, and those thoughts were correct because of what I wanted to do with my life. If you’re a doctor, lawyer, or another profession that requires college then I’m all for it, but I wanted to do something with online media or digital marketing and I didn’t need a degree for that. I was working during college and decided that college wasn’t fulfilling my needs so I continued to work but stopped my classes. In my job I quickly rose to a higher sales manager position because I had more time to focus on it and grew to love sales. I loved the psychology of how people work and what incentivize people to buy things. To learn more about it I did a lot of online research and read books on the subject. This is when I stumbled upon the idea of digital marketing and I was intrigued. I learned so much valuable info in a short period of time about marketing, sales, branding, media, etc that I was even implementing some things I learned into my managerial job I had. The entire time I had the idea I could do small media projects for people but had no idea how to start or run a business and just the thought alone overwhelmed me. But with much discipline and curiosity I gained a wealth of knowledge that helped me get to new levels. I figured out all the details with months of preparation and then started my own service-based business in digital marketing and consulting. That’s when everything changed. Eric Rebelo: After starting my business I thought the best thing to do would be to ask my friends and family if they knew anyone that could use my services and I got 2 clients that I worked with for free for a few months just to prove that my skills were valuable and so that hopefully I could get referred by them to other people that needed my help. Everything went according to plan but then I realized that I had been in business for awhile and I wasn’t making money doing the free work. So now that I felt confident enough in my services I talked to one of my current clients and said I think I can help additionally with paid digital advertising services that can bring your business customers and asked if they’d be willing to pay me to run their ads and they said yes. I was so happy that but then realized I had to I put my head down and work to get them results. I optimized my strategies for their ads and it actually brought them customers within the first month! The free work I did for my first clients really helped me get started and begin to scale. I then moved onto reaching out to business owners with LinkedIn, Upwork, email, and other methods to get new business and that is how I got the rest of my clients. But it all started with being willing to work hard at no cost for a period of time to prove to others and myself that this could be a successful business. Eric Rebelo: We’re different because we don’t take a cookie-cutter approach like many others do. Each digital marketing & branding solution we provide is custom and tailor-made to your specific business. Everyone’s business is different so your marketing should be as well! I call myself the Consultant CMO because I act as a Chief Marketing Officer for your company to partner with you to grow your business using practical strategies, be your go-to marketing expert, and give as much value as possible. How have you been able to grow your business? Eric Rebelo: I’ve been able to grow my business by taking action daily. And I mean every day. I’m always thinking about my business, my clients, how to improve results, new ideas to further my revenue growth, and more. There are things you have to do in the short term to grow a B2B service business like cold call, email, client outreach, and walking into businesses, but in the long term you have to think about building a brand or a name for yourself so the clients come to you. I’m working on this right now with building a personal brand on my YouTube channel to gain a following and then provide so much value to that following that they continue to watch my content and stay invested in my brand. Then I’ll be able to use that following to help future business ventures and it also gives my business more social proof. I mostly work with service-based businesses (like lawyers, chiropractors, dentists, gyms, plastic surgeons, IT, etc) now but also have experience in marketing for e-commerce, software (SaaS), influencers, product businesses, and more. I’m expanding my reach in the marketplace by building a following around my personal brand so I can leverage it and use it to grow other businesses and ideas in the future. Eric Rebelo: The secret to going viral or getting sales on any platform is effective paid advertising in my opinion. With organic reach getting so low on many platforms it’s best to pay for consumer’s attention and put systems in place to do that as well. Many people rely on the organic reach of all the online digital platforms but forget to realize that they’re free, they have to make money and it’s where people’s attention is at so you have to pay-to-play. The other secrets I’ll share about getting attention and increasing sales are: be transparent/authentic in your brand, be consistent in engaging with your audience, give your brand meaning to the consumer, and focus in on your target market. Bonus tip: YouTube and LinkedIn still have great organic reach and are SEO friendly so use it while you can! What was your biggest failure and biggest success? What did you learn from them? Eric Rebelo: My biggest tangible success was signing my first client back in the day but I think it’s been a series of little successes up until now that has allowed me to do what I’m passionate about. I learned that if you stay true to yourself and authentic in your intentions then good things will find you. My biggest failure was not starting my journey earlier in life! Although I would argue that I wasn’t at all ready until I actually started, it’s always nice to get a bit of a head start. From that I learned that you just have to go all in and take the risks because you have a limited time to be alive. Eric Rebelo: The biggest thing that not many business owners and marketers are taking advantage of is retargeting ads. I see so many people marketing to cold traffic and not understanding that the best customers and clients are the people that have already purchased from you or people that know who you are. Also many businesses make their ads look too much like ads and this can make people ignore your marketing efforts. Your ads should be an exchange of valuable info, content, irresistible offers, and more to actually have the prospects and potential customers excited about moving forward and doing business with you. In short, setup a Facebook Pixel on your websites, use Custom Audiences to segment out your target market, and create retargeting ads for people that weren’t ready to buy or that have already bought and you want them to buy again. What do you think you do better than most people? How are you able to do it? Eric Rebelo: I believe that I’m very detailed oriented and I’ve always been that way. I’m considered an Emerald personality and an ENTJ-A and those things describe me very well. I’ve learned that my strengths are very helpful in business and marketing and I’m so grateful that my strengths match up with my passions. Eric Rebelo: The best books I’ve read are Rich Dad Poor Dad, Think and Grow Rich, The Go Giver, Pitch Anything, How to Win Friends and Influence People, and many more over the years. I tend to like videos more than books because you can get more information in a shorter period of time. What’s something new you’ve learned in the past month? Eric Rebelo: The future of marketing will be an interesting space where due to the competition and low barrier to entry in entrepreneurship right now, your brand is extremely important when it comes to consumers buying decisions. Branding will be more and more important as time goes on because there are so many options for your potential customers to choose from and you have to stand out from the crowd. Eric Rebelo: Entrepreneurs should focus on providing value to others and then realizing that money is a byproduct of that. Business is a value exchange and your revenue depends on how much value you give to others. They should also focus more on revenue-generating activities and less on the little things that don’t matter like their logo and stuff until their business scales more. What’s the most important thing to master in running a business? Eric Rebelo: Mindset. If you’re mindset isn’t right, your business won’t be right either. Your income can only match your mindset level. Just realize that we’re all on this Earth for a short period of time and you might as well go all out and do your best to achieve your purpose and vision. Never stop learning and definitely keep improving your mindset daily. Where do you see yourself and your business in a couple years? What’s your dream? 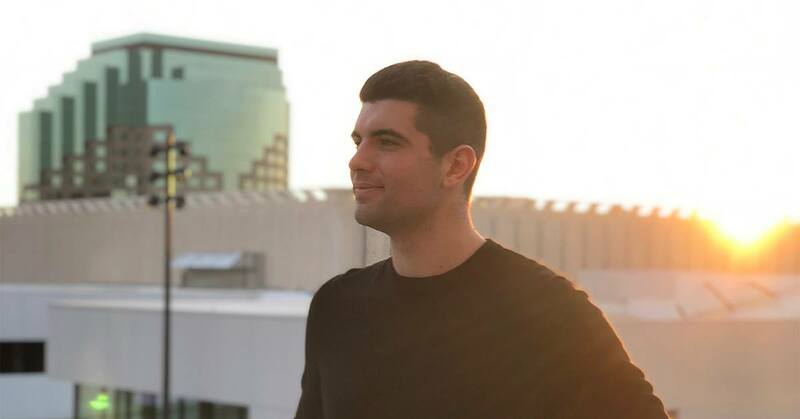 Eric Rebelo: I see myself getting to 7 figures within 5 years through my agency, consulting, coaching, affiliate marketing, my personal brand, creating useful software, training programs, and just adding value to others lives in whatever way I can. My dream is to help at least 1 million people with their income and personal development because then they are in more control of their happiness and lifestyle. My plan is to make money in my main businesses so I can invest back into and create other businesses and have a cyclical relationship with my revenue generated and using it to keep growing my businesses. My businesses will fund my plan to allow me to impact as many people as I can in my lifetime. My dream is to have businesses that help me have security and freedom while getting the privilege of helping others achieve the same.